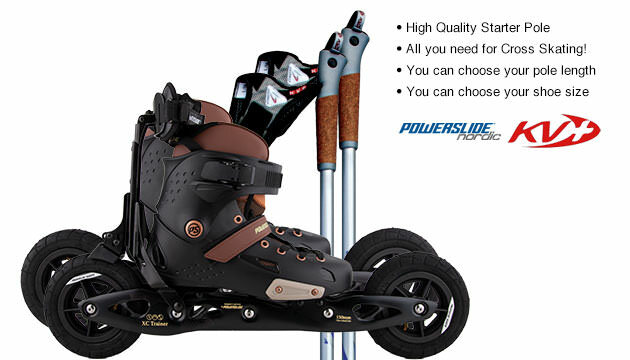 Powerslide XC TRAINER is the allround model of Powerslide. The XC TRAINER has one good brake and air tires. The XC TRAINER comes with comfortable Softboots that are mounted on the frame and brings lasting fun and good workouts for beginners and advanced Nordic Skaters.